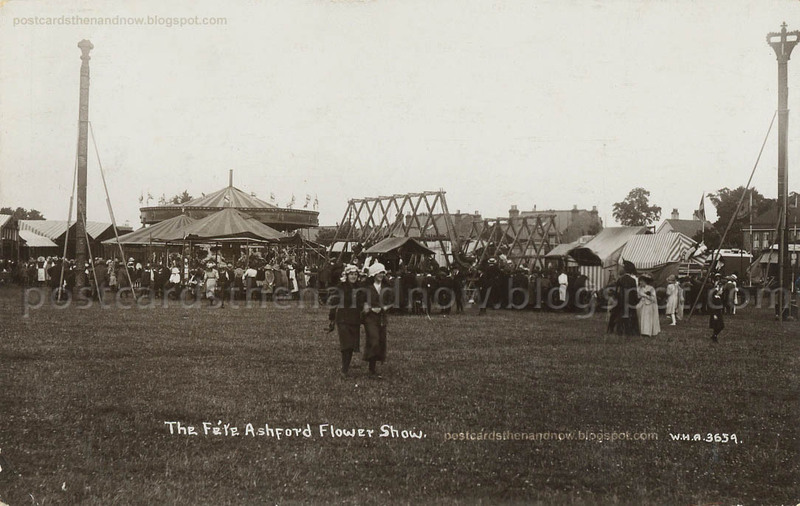 Ashford, Middlesex, Flower Show Fete 1914 and Greenwich Park Bank Holiday circa 1905. 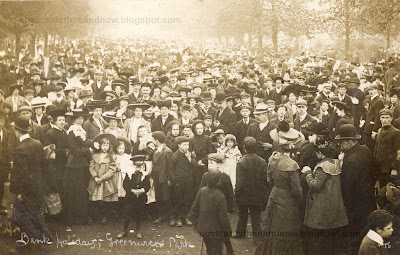 The theme for the Sepia Saturday blog this week is May Day related so here are a few postcards showing people enjoying their day off work a century ago. The Ashford postcards are by W. H. Applebee of Ashford. I don't know who published the Greenwich park postcard. Click the postcards to enlarge. Beneath the Greenwich postcard are some close-ups. Days off from work are an added bonus! Especially when an if they are paid holidays! 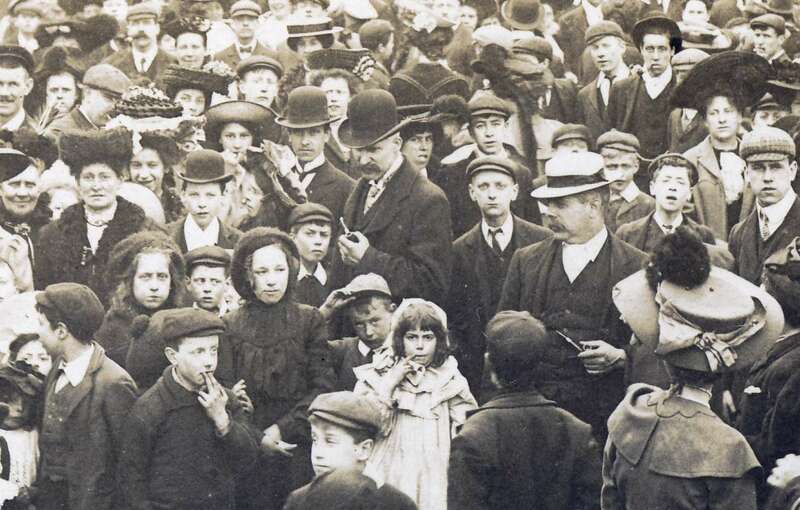 I think that little boy in the photo, with his head tipped is precious! I could spend an hour just looking at all of the different outfits in the last one. Fascinating. 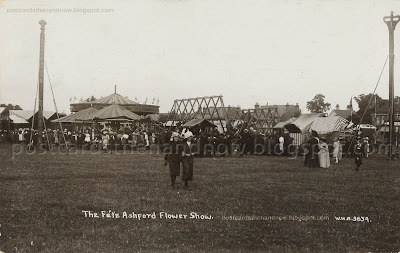 I guess the flowers were under the tents. Love all the details in these photos -- each one an inspiration to the imagination. I agree with Christine - just look at the expressions. The quality of the photographs is amazing. You could hardly do better with a modern camera. These are fantastic postcards, the details are amazing. It looks like places being crowded on Bank Holidays is nothing new! These postcards are amazing, quite a view into the past. The third one with all the people is particularly interesting. I just love old postcards - no wonder I keep picking them up everywhere I go! Wow what a crowd. fascinating photos. 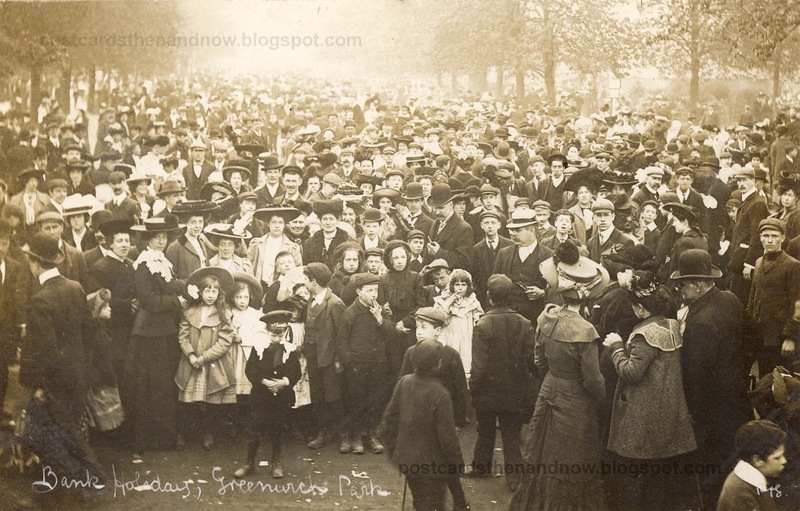 That's a great crowd scene on the bank holiday postcard. Great postcards, and what a fine collection of hats. What a fine set of cards. Lots of fashions for men and women. Pleased to see that there will be music from a band without the aid of amplifiers and a stage. 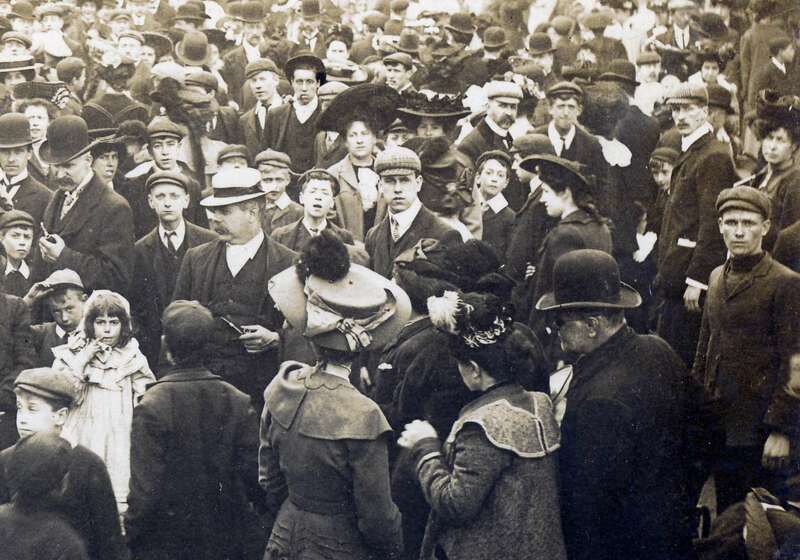 They had quite a crowd! Great pictures, thank you. There's barely room for all the hats. They must have been bumping each other's toppers off all day. Again, I can't help wondering about who fed them? 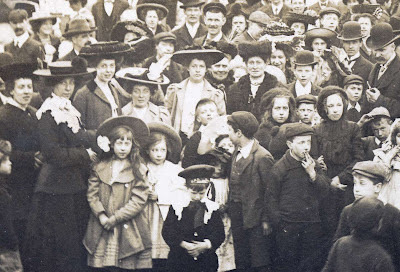 Great pictures but why is everyone wearing a hat.?? Fascinating photos. 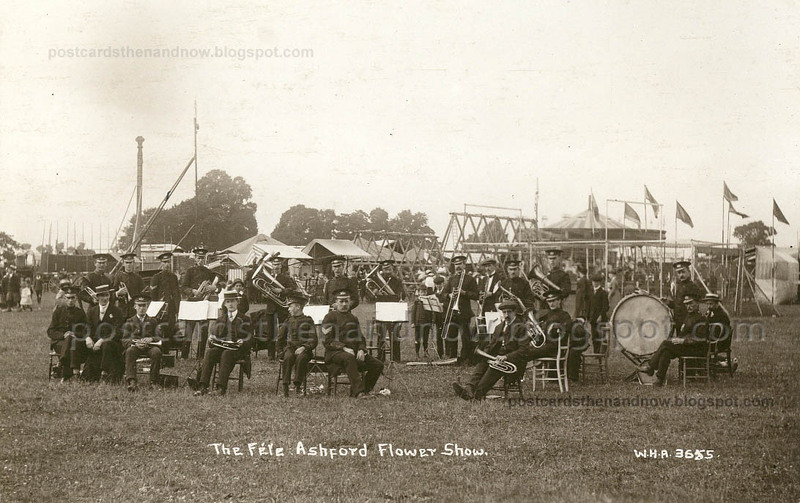 I especially like the band set in a circle but seated. They probably played several times during the day. Today's carnival, fete, has such a different kind of sound with amplified recorded music drowning out the squeals of children and calls of the buskers. The last closeups would make terrific jigsaw puzzles, even in sepia tone. That is a large crowd of people at the show. Great to see them.